The tag 'Peter Dale Scott' is associated with 4 posts. In FTR # 978 (among other programs) we noted that the Pentagon Papers were themselves “second-level” cover-up, falsely maintaining that there was continuity from the Kennedy administration to the Johnson administration with regard to Vietnam war policy. 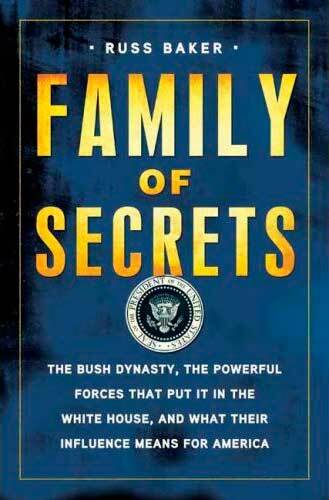 Douglas Valentine has written extensively about the U.S. national security establishment. 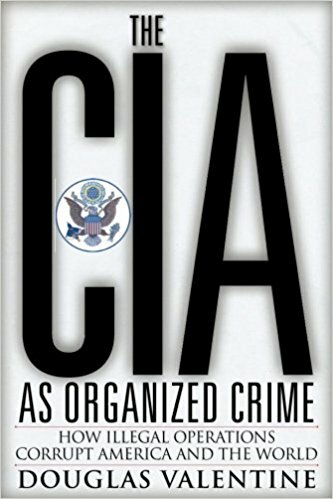 Best known for his seminal work on the Phoenix program in Vietnam, he has recently published “The CIA as Organized Crime.” In his recent volume, Valentine notes Daniel Ellsberg’s long-standing links to the CIA and the inability/unwillingness of what he calls “The Compatible Left” to talk about St. Ellsberg’s connections to Langley. All of the contents of this website as of 12/19/2014–Dave Emory’s 37+ years of research and broadcasting–as well as hours of videotaped lectures are available on a 32GB flash drive. Dave offers his programs and articles for free–your support is very much appreciated. Considerable attention has been devoted by the media to a TV documentary by Ken Burns about the Vietnam War. What has not been covered by Burns et al is the fact that JFK’s assassination was the decisive pivot-point of the policy pursued by the U.S. in the conflict. Excerpting The Guns of November, Part 3 (recorded on 11/15/1983), this program notes how Kennedy’s decision to begin a phased withdrawal from Vietnam was one of the central reasons for his murder. The central element in the broadcast is professor Peter Dale Scott’s skillful discussion (and excerpting) of relevant National Security Action Memoranda pertaining to Kennedy’s Vietnam policy. The program details Kennedy’s plans to phase out direct U.S. military participation in the conflict. Presiding over severe dissent from within his own administration, as well as from the military and intelligence establishments, Kennedy initiated this U.S. withdrawal seven weeks before his death. Two days after the assassination, Kennedy’s Vietnam policy was reversed and the course of action was determined for what was to follow. In addition to canceling the troop withdrawal and providing for troop increases, the policy shift resumed the program of covert action against North Vietnam that was to lead to the Gulf of Tonkin incident. That alleged attack on U.S. destroyers (never independently verified and widely believed to be fraudulent) precipitated U.S. military escalation. The principal documents in question are National Security Action Memoranda #’s 111, 249, 263 and 273. Although this might appear to an untrained observer as a minor semantic distinction, it was well understood within the Kennedy administration to define the difference between a limited commitment to aiding the South Vietnamese and an unlimited, open-ended commitment to helping the South Vietnamese win. Crafted in June 25 of 1963, NSAM 249 suspended covert operations against North Vietnam pending a review of policy. In National Security Action Memorandum 263 (10/11/1963), Kennedy scheduled the initial withdrawal of 1,000 military personnel by the end of 1963, as part of a phased withdrawal of all U.S. military personnel. National Security Action Memorandum 273, which was formulated by LBJ on the Sunday after Kennedy’s murder (the day Jack Ruby killed Oswald) and released two days after that, negated the previous three documents. The troop withdrawal formulated in NSAM 263 was cancelled and troop increases were scheduled. The U.S. was committed to “helping the South Vietnamese win,” pointedly using the language avoided by Kennedy in NSAM 111. Furthermore plans were formulated for the program of covert operations against North Vietnam that resulted in the Gulf of Tonkin Incident and the Gulf of Tonkin Resolution (permitting LBJ to plunge the U.S. into the war). Covert operations against the North had been suspended and were resumed in June of 1963 against JFK’s wishes and apparently without his knowledge. 1.-The intensification in late 1963 of U.S. covert paramilitary operations in Laos. 2.-The intensification in that same period of U.S. covert paramilitary operations against Cambodia. 3.-The Pentagon Papers’ apparently deliberate falsification of U.S. Vietnam policy, maintaining against the historical record that there was continuity of Vietnam policy from JFK’s administration to LBJ’s. 4.-NSAM’s instruction that administration members were to refrain from criticizing American Vietnam policy. Just as Oswald was “painted Red,” Russia appears to have been framed in the U.S. media for the hack of the Democratic National Committee and the non-hack of NSA cyberweapons by the so-called Shadow Brokers. In this first of two programs, we review the process of “painting Oswald Red,” by way of gaining historical perspective on the Snowden “op” and the framing of Russia for the high-profile hacks in the New Cold War. After reviewing particulars concerning the framing of Russia for the hacks, we detail the framing of Lee Harvey Oswald and the Soviet Union for the assassination of Stephan Bandera, the head of the fascist Ukrainian OUN/B. Supposedly executed by the KGB, the killing was almost certainly done by the West, with the BND being the most likely agency involved. Elements of the W.A.C.C.F.L. (the forerunner of the World Anti-Communist League) disseminated the disinformation that Oswald was trained by the same KGB sub-group that managed Bogdan Stashynsky, the killer of Bandera. After Oswald returned to the U.S., he was infiltrated into the Fair Play For Cuba Committee (he was its only New Orleans member). Oswald’s alleged pro-Castro stance received considerable exposure as a result of an interview he did with WDSU in New Orleans. That interview, arranged by the Information Council of the Americas, featured Oswald discussing his Marxist sympathies and his “defection” to the Soviet Union. The Information Council of the Americas had close links to the U.S. intelligence community. The net effect of the painting of Oswald Red was to motivate liberals and President Johnson to cover-up the truth concerning the assassination, out of fear that if the American public believed that Kennedy was killed as a result of a Communist conspiracy, it could lead to a Third World War. Program Highlights Include: Oswald’s WDSU gaffe in which he disclosed his relationship with the U.S. government while in the U.S.S.R.; the highly unlikely fact that alleged K.G.B. operative Stashynsky had the broken key to Bandera’s apartment in his possession when he went to trial two years later; the equally unlikely proposition that the other half of the broken key was still in the lock of Bandera’s apartment two years later!